After YBN Cordae and his YBN crewmates saw their stock climb even higher in 2018, the American MC has now mapped out a headlining North American tour. 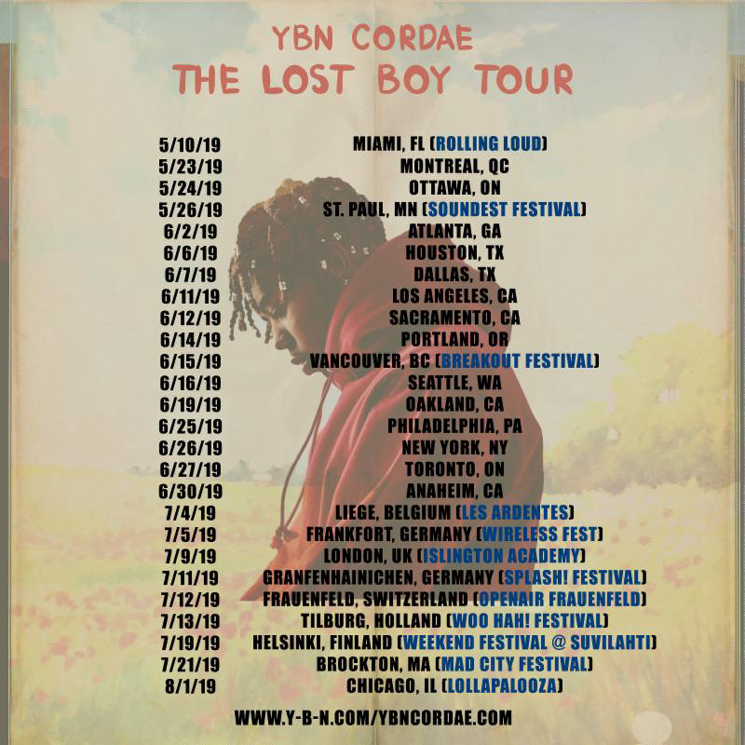 Cordae's "The Lost Boy Tour" will take him around the continent throughout May and June, with the itinerary including four shows in Canada. Cordae will first play Montreal's Le National on May 23 before heading to Ottawa's Bourbon Room on May 24. From there, he'll play Vancouver's Breakout Festival on June 15 before heading to Toronto for a date at the Mod Club on June 27. Tickets for all dates go on sale to the general public Friday (April 19). Find the full itinerary below. Cordae and his YBN crewmates delivered YBN: The Mixtape last September. Cordae is expected to detail his debut solo project, The Lost Boy, this year.